The Flood Expo 2017 is the largest event in the world that is focused on presenting solutions to widespread flooding problems. This 2 day event being held from 11th October to the 12th October 2017 at the ExCel in London, United Kingdom. This event showcases innovative products and infrastructure reinventing the way that flooding across the globe is predicted, prevented and managed from different leading companies. 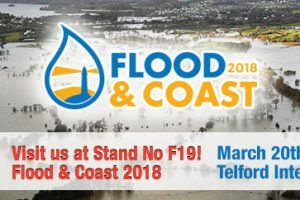 Visitors are welcome to attend looking for that flood innovation or piece of expert insight that will allow them to predict, prevent and manage a flood more effectively than ever before. Geoline will once again showcasing our Reusable Water-filled inflatable flood barriers for Flood Expo 2017. 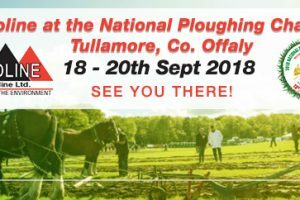 We will be showcasing our latest strategies, techniques and technologies to help prevent flood damage and manage floods easily and effectively. 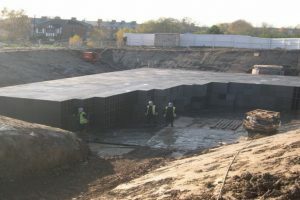 Geoline are pleased to announce that our Pluvial Cube Attenuation and Infiltration Systems have been awarded the prestigious NSAI Agrément (Irish Agrément Board), designated by Government to carry out European Technical Approvals. 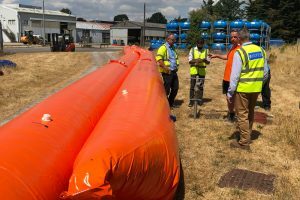 Flood Barrier Training at the recent training event at Knappmill water treatment works. 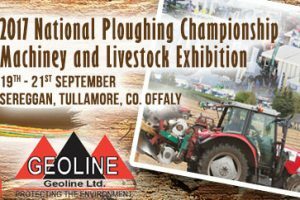 Geoline at the National Ploughing Championship 2018 - Meet us there!